This succulent chicken dish combines meaty chicken thighs, sweet sticky figs, sharp lemon, and a variety of sweet and sour flavours to create a Mediterranean inspired supper. Serve the chicken with rice to soak up all the juices and sprinkle with a few fresh basil leaves for extra flavour. Peel the whole lemon and cut into slices. Preheat oven to 200C and combine the lemon juice, water, white wine vinegar and brown sugar in a small bowl until full mixed. 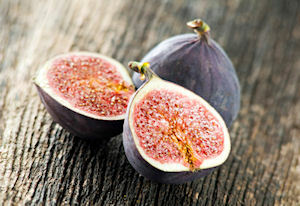 Put the figs and lemon slices on the bottom of a baking dish. Arrange the chicken thighs over the top, pour the lemon and vinegar mixture over the top then sprinkle with salt and pepper. Put into the oven and cook for 40 minutes to one hour, until you get lovely browned chicken. Baste with the juices three or four times whilst cooking. If you don't have any white wine vinegar in, white balsamic or cider vinegar will work - just be sure to use a vinegar that is clear or light-coloured, rather than dark. The sugar in the sauce will cause the lemons to become candied, and golden caster sugar will work in place of brown sugar if you don't have it. This recipe serves six people.